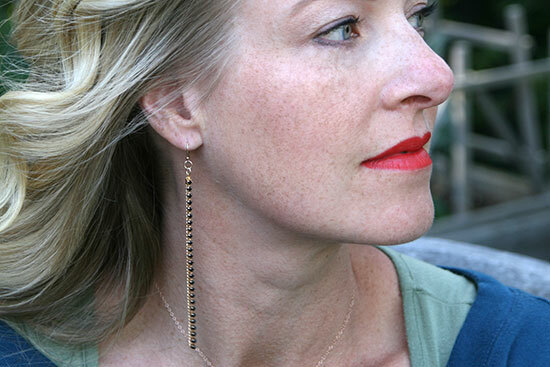 Back a few weeks ago, I showed you how to make the super simplest chic earrings ever, by simply attaching some chain to an earring hook. I also made a slightly more complicated version that is truly not complicated at all. It takes a few more steps, but it will take you less than 10 minutes and it’s super fun, too. Here you see two things: a length of rhinestone cup chain, and a cup chain connector. You’ll need two of each of these. 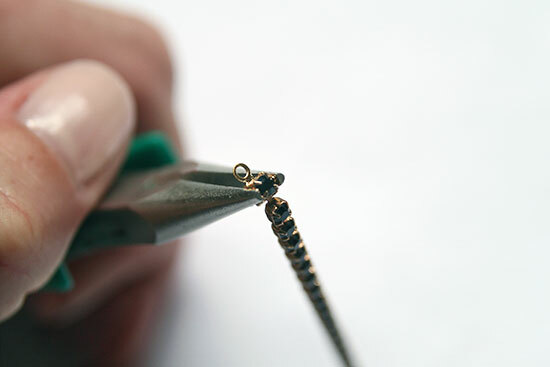 NOTE: make sure you get the same size connector as the stones in your cup chain; that is, if you get a 4mm cup chain, make sure you get the 4mm connectors, too. To start, you need to attach the connector to the cup chain. Lay the first stone into the connector cup, and then use pliers to squeeze the connector shut. 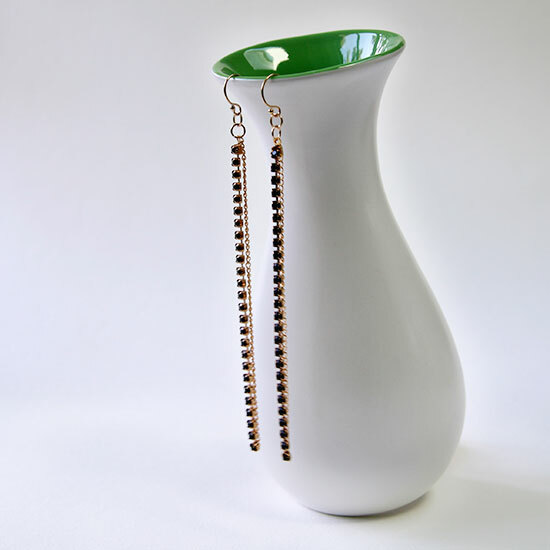 Now you can hang the rhinestone chain along with a metal chain. 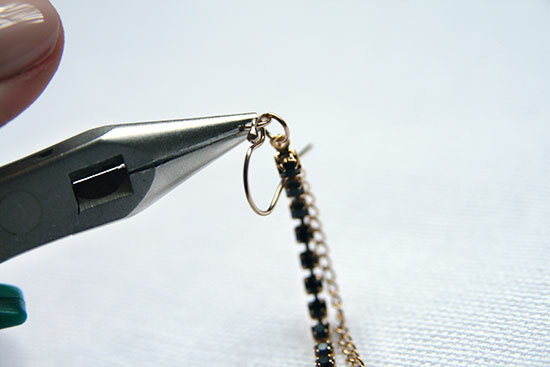 The only other trick here is that if you use only one jump ring, the rhinestones will hang sideways. Wah, wah! 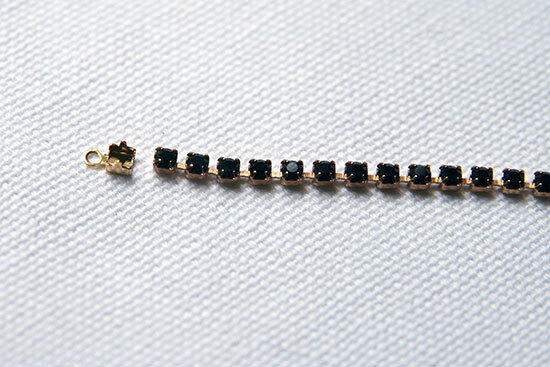 If you add another jump ring, though, the rhinestones will hang forward. Problem solved! So attach one, and then another, jump ring to the rhinestone chain, and add any other chains you want as well. Then attach the earring hook and you’re done! Boom! So, when are you going to do another Martha Stewart post? They are hilarious! Ha, thanks, Nyssa! I haven’t been doing them lately since it seems I don’t get quite enough proverbial bang for my buck, but maybe I’ll bring them back!